Interview to Denis Do: "We can’t ask the youth to be forever in mourning. It is just important to know. Knowing our history is a key for building our path to the future"
Born in Paris in 1985, Denis Do graduated in 2009 from the acclaimed French animation school Les Gobelins “L’école de l’image”, pioneer in the fields of animation and filmmaking. His last school project was a short film, “Le Ruban” is the tale of a love story under the Chinese Cultural Revolution in the 1960’s. Denis’ first animated feature film is “Funan” is a family tale, inspired by his mother’s personal story, that takes place during the Khmer Rouge era in 1970s Cambodia and it earned him the prestigious Annecy International Animated Film Festival’s Cristal Award. He also won the Audience Award from the 2018 Animation Is Film Festival held in Los Angeles. 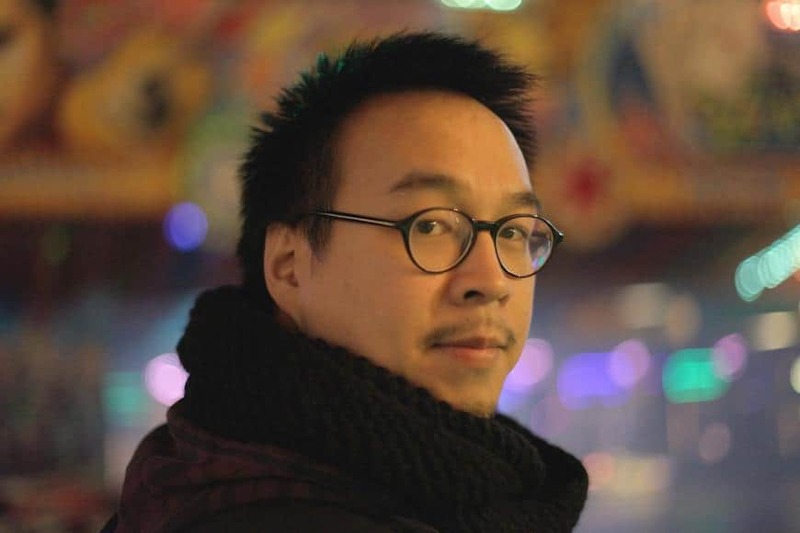 On the occasion of his film, “Funan“, screening at Festival International des Cinémas d’Asie de Vesoul, we speak with him about the new generations in Cambodia, the power of animation, working with other Cambodian artists, the importance of the right voice actors and many other topics. Why did you decide to film an animation about Cambodia? What kind of research did you do for the film? Before being a film about Cambodia, (Funan) is a film based on my mother’s story before she arrived in France. It was much more about my relation to the topics around my family than the story of Cambodia itself, but at least, a part of the dark history of this country is highlighted. And I assume it of course, I just want to mention that it was not necessary the initial purpose. It was important to collect information and testimonies from my mother, to confront them to others too. We went to Cambodia for it in 2010. It was necessary to go back again with my co-authors, in 2012, in order to collect pictures and to dive into the local environment. A lot of documentation was used for creating stuff as the tools, the clothes for example. Why do you think there are not more films about the Khmer Rouge regime? (I know only “Funan” and “First they Killed My Father”) Do you think the Cambodian people have fully recovered from this specific era or does the trauma persists? I remember I have seen « The Killing Field » by Rolland Joffe, when I was very young. I was frustrated, I needed to know more about the life during the Khmer Rouge camps. It is difficult for the victims to deal with this tragic past and also it is not very easy to make a film, the process requires time and involves lot of people. But stories continue to be shared, there are many autobiographical novels, sharing more or less the same main structure. The trauma still exists and it is maybe too early to talk about recovery. There are still taboos around the subject. I have heard also that the youth in Cambodia are not very aware of the Khmer Rouge topics and are more looking up to the future. This is not something bad at all to me, because we can’t ask the youth to be forever in mourning. It is just important to know. Knowing our history is a key for building our path to the future. Do you believe that animation can be as strong in communicating a message as a live action film or a documentary? I do believe it. 2D animation is a great way to emphasize elements who can appear totally neutral or normal in live action, such as the background and the environment. Also, it allows to magnify situations much more directly and to render them through a natural way. Through live action it could be a bit weird sometimes. Also animation has no borders, I think the drawings act as a filter. In the case of Funan, the characters are not only Cambodian, but human first. This is, I think, the most powerful ability of animation. To show human and it’s essence, emphasizing the universal aspect of a film. How did the cooperation with the local animators occur? Can you describe for us the procedure you followed for the animation of the film? I was expecting to involve Cambodian artists on the production of the film. It made sense to me, because it is also their story. Patrick Pujalte, a former classmate from Les Gobelins “L’école de l’image”, was in Cambodia and introduced me to Ithinkasia. We started like that. They set up a training for about 6 month. Everything needed to be built for the birth of animation industry there. Animation itself is not the key point for the storytelling of the film. I decided to based it on the drawings, the scenes composition, the characters’ poses and expressions. Many things happen out of the screen; it was important to bring to life what we can’t see. It is more a film about situation than action. I decided to avoid to show the starting point of any action but to shoot it under process or when it ends. Also, most of the shots used to follow one rule: starting pose ->ending pose -> cut. It allows a lot of freedom for the editing. It allowed to move and play with the duration of the beginning and the ending of any shots, emphasizing the psychological aspect of the characters. Michael Crouzat’s art direction is excellent. Can you give me some details about your cooperation with him? He was also a classmates from Gobelins. Both of us are quite inspired by Japanese animation. I wanted to work with him because his art is awesome. I wanted the film to have a realistic look, to stay close to reality and history, to show human and not cartoon. Michael brought all his skills and talents by through his sensitivity about light direction and characters conceptions for example. During the production he was a great ally for improving and fixing many many things related to the art direction. The scene where Sovanh is playing in a temple filled with pigs is one of the most impressive in the film. Can you give us some more details about its significance? This sequence is showing the Buddhist hell. I don’t know if such temple really exist or not in Cambodia… But I wanted to show that life and death are all about pain here. The birth of a baby pig. The shadow of the prisoner. This is not an enlightenment for Sovanh, he doesn’t seems to understand what happens around. This is much more for the audience, by reading the film with distance. Historically, it shows how holly area such as temple were turn to piggery. And with all the paintings on the walls, it symbolically represents the S-21 Tuol Sleng Genocide Museum. With all the victims and their pictures. How was the casting process like and how you ended up with names like Berenice Bejo and Louis Farrell? How did you guide them for their parts? The decision to work with Berenice appeared very early after I watched “The Past” by Ashgar Faradhi. I was hooked by the way her voice was able to occupy the space, vanishing and existing through the silence. I didn’t have ideas about the male voice. Berenice told me about some actors and we point out Louis Garrel. He has a great voice, with a lot of emotions and it resonates with a lot of sensitivities. It is my first film and I didn’t have enough experience in terms of comedian guidance. Thankfully I was supported by Céline Ronté. It wouldn’t have been possible to reach what we had done without her. What is the situation with animation in France at the moment? It is a hard question… I am leaving in a grave, haha… I think there are lots of projects. 2D animation has become mature enough to handle serious topics. Can you give us some details about your future projects? I am working on a middle length animation film (around 40m). The story occurs in China. It is a bit ambitious technically. And I am also developing a feature. All I can say about it is that it will be rock and roll. And memories are not only dark, it could be bright and inspiring for the youth.